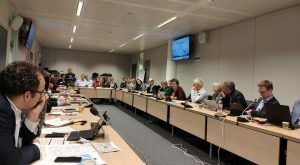 The first meeting of the ET2020 Working Group on Innovation and Digitalization took place in Brussels on the 24th and 25th of January in the European Union Science and Innovation Building. 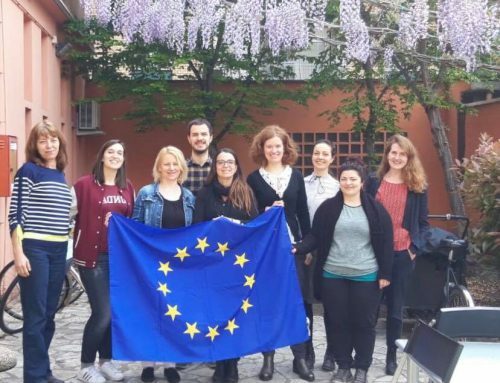 42 experts from all over Europe participated in this meeting and worked together in order to establish the next steps of the Working Group until the end of 2020. EfVET was represented by Panagiotis G. Anastassopoulos as an expert in the sector. 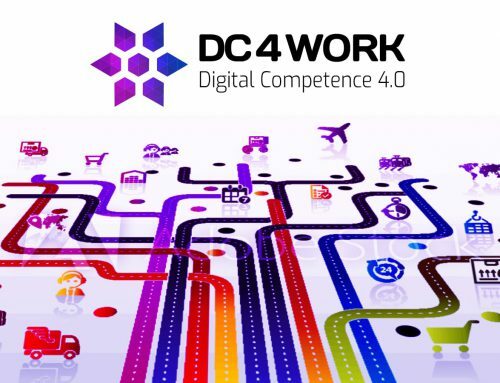 How can innovation and digitalization support higher quality VET and higher VET in contributing to innovation and digitalization in the economy? How should we approach differences in pedagogical and andragogic methodologies today? What are the governance and financing frameworks for the changes in the new era? How the needed quality will be guaranteed? 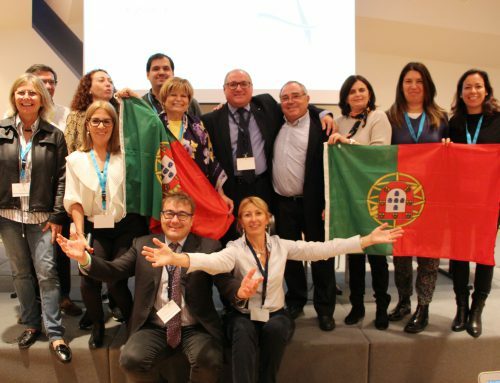 The meeting opened with the keynote speech of Joao Santos, Deputy Head of Unit E3 (VET, Apprenticeships, Adult Learning), Directorate General for Employment, Social Affairs and Inclusion (DG EMPL), speaking about the difference of the change in the past and the present. “It is not that in the past we did not have changes. In fact, we had almost the same, but they were taking place at a pace that the educational system could adopt. Nowadays the pace of change is so fast, that it is really a big question how we can adapt ourselves to this pace”. The approach of Centres of Vocational Excellence is a suitable example of how this could be answered by the good examples of applied methodologies. Then the panel moved to John Edwards, Research Manager, Joint Research Centre (JRC), who analysed the S3 (Smart Specialization Strategies) at Regional level, which are so interconnected with VET that Regional Skills Councils will soon be created in every EU Region that follows S3. The sectors of the S3 and the tactics described are very similar to our new established Thematic Teams, so EfVET could be a really effective mediator for this. 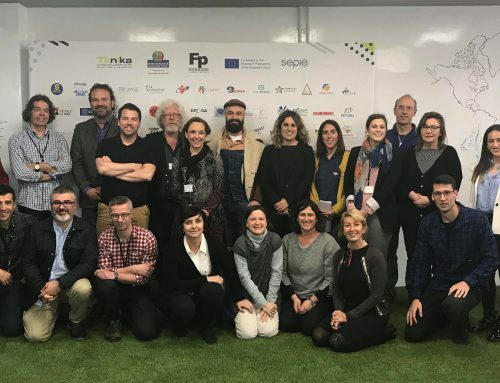 The delegates of the Group then worked in smaller teams designing and commenting on the Clusters to be followed until 2020 so as the interim and final products of the ET2020 WG will be as simple and practical as possible. 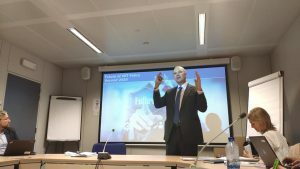 A great analysis of the SELFIE project and its feasibility was presented by Ralph Hippe, Scientific Officer, Joint Research Centre (JRC) and Bert-Jan Buiskool, Senior Consultant and Managing Partner, Ockham IPS, regarding the huge acceptance of this tool across EU training providers. It is a really good example of how the questions risen nowadays due to this pace of changes could be answered. The success of this first Working Group glances to the eagerness of the members to host the next meetings. This led to the establishment of the agenda with specific places to meet until 2020 (and specific dates for 2019 and approximate ones for 2020). The draft programme for each meeting was discussed and almost set, along with the virtual meetings (in the form of webinars), which prove the efficiency and positivism of the participating persons. Next Stop Timisoara at 21 and 22 February, so stay tuned….